Warri South Local Government Council will on Monday February 4 commence a weeklong revalidation exercise for all billboards/signposts placed at various roundabouts, roads and streets within the local government area. 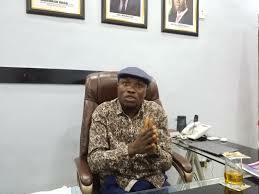 Chairman of Warri South Local Government Area, Dr. Michael Tidi in a statement released through Secretary to the Local Government, SLG, Mr. Joseph Oribioye, enjoined corporate organizations and individuals who are owners of the billboards/signposts to visit the Council’s Main Secretariat for the revalidation exercise, expected to end Monday February 11. That statement stressed that those affected are to come between 8:00am and 4:00pm daily with their approval letter and evidence of 2018 financial obligation to Delta State Signage and Advertisement Agency, DESSA. The Council authority warned that owners of the billboards and signposts that fail to comply within the period of the revalidation exercise, will have their signage removed seven days after the revalidation terminates.